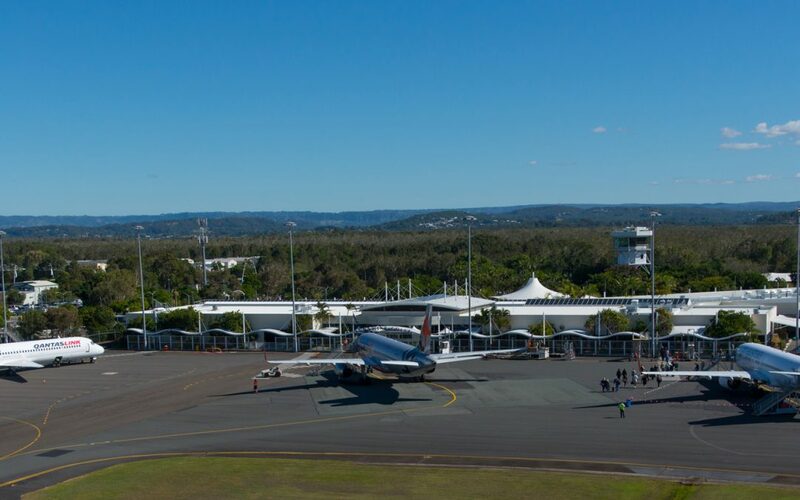 Sunshine Coast Airport has recorded its highest ever passenger numbers with over 310,000 passengers flying in and out of the airport in the three months ended February 2018, a 15% increase on the previous year. Maintaining its position as the fastest growing airport in the country, the airport’s passenger number and airline capacity records were broken each month over the summer season. Sunshine Coast Airport CEO, Peter Pallot, said the statistics confirmed the airport’s popularity with locals and visitors alike. “We have now experienced 33 months of consecutive month on month, year on year passenger growth, which is an incredible achievement,” Mr Pallot said. “All of our carriers have been investing in the Sunshine Coast and our strong load factors over the last twelve months are evidence of the ongoing passenger demand for services direct to our destination. “The summer’s performance was particularly strong. “In the month of December we achieved more than 100,000 passengers, and in January we set an all-time passenger record of 120,075, a 16% increase on the previous year. The period’s growth was spread across the Sydney, Melbourne and Adelaide routes flown by Jetstar, Qantas and Virgin Australia. Mr Pallot said the airport looked forward to welcoming more New Zealand visitors from 6 July with the resumption of Air New Zealand’s annual Trans-Tasman services. “The Sunshine Coast – Auckland services have been a great success and we are delighted the seventh season will be commencing in just a few months time with 15% more seats available,” he said. Visit Sunshine Coast CEO, Simon Latchford, said that there was massive potential to grow visitor numbers from Asia Pacific markets to the region. “The latest International Visitor Survey showed that we recorded our largest ever international arrivals figure, with the Sunshine Coast attracting over 300,000 international visitors in the 2017 year,” said Mr Latchford. The Sunshine Coast Aviation Partnership (Sunshine Coast Airport, Visit Sunshine Coast and Tourism Noosa) will attend Routes Asia, the only route development event dedicated to the Asia Pacific region, between 16 – 18 March 2018. Being held in Brisbane this year, Routes Asia attracts the region’s leading airlines and senior airline decision makers. The Aviation Partnership will undertake face to face meetings with international carriers to discuss new and existing route development opportunities. Sunshine Coast Airport’s performance and strong industry leadership saw it named Asia-Pacific Small Airport of the Year in the CAPA Asia Pacific Aviation Awards for Excellence in November 2017.